Get creative as you learn about the alphabet in your classroom with our Printable Block Upper and Lowercase Letters! 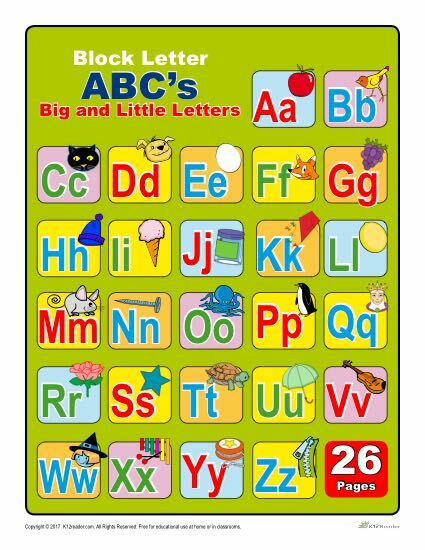 This booklet includes each of the twenty-six letters of the alphabet on individual worksheets, which provides variety and flexibility for parents and teachers using these activities. Both the uppercase and lowercase form of each letter is included on every page. The activities found on K12Reader are made easy to print, making them a great resource for both parents and teachers to use at home or in the classroom.